(Newser) – There are so many characters in Game of Thrones it's hard to keep them straight, let alone identify the main character. Mathematicians Andrew Beveridge and a student from Macalester College turned to "network science" to sort it out, searching for instances in which two characters' names appeared within 15 words of each other in A Storm of Swords—the third book in the series and inspiration for the third and fourth seasons of the HBO show, per Entertainment Weekly—to create a network of links. 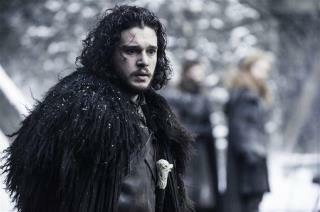 Jon Snow, for example, was often linked to Samwell Tarly but never to Daenerys Targaryen. Tyrion Lannister boasted not only the most connections, but also most interactions and connections to important characters, per the study. "Our analysis suggests that he is the true protagonist of the book." I watch that show and sometimes wonder about the women and how they must be soooooo proud they got the parts they did. "Look MOM AND DAD!! I am a debauched little who** on Game on Thrones!! Aren't you SOOOO Proud!!" John Snow and Tyrion are cool but I hope Daenerys sails across the ocean and kills everyone. She's the best.